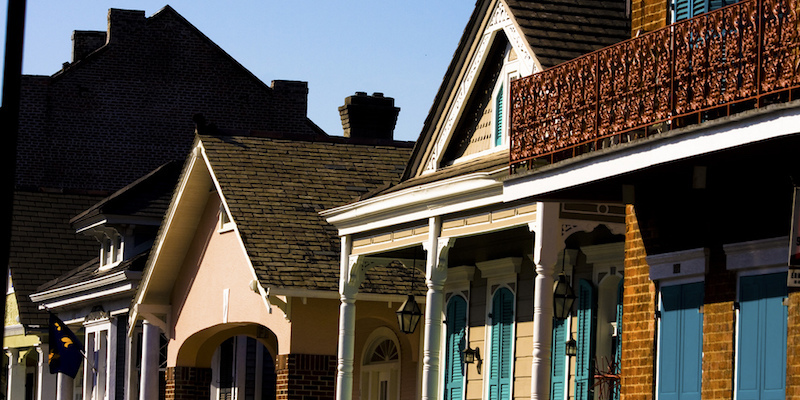 Planning ahead and taking advantage of the weather, longer hours, and flexible schedules can ease the process of drawing in potential buyers, but sometimes selling your New Orleans home fast and for cash may be the right option for you. Summer can be a very good time to sell your home to off-season homebuyers, for many reasons. Although spring is the most popular time of the year to put your house on the market (with fall the second most favorable time), selling in the summer is always possible. In fact, there are many good reasons to consider selling during the summer, although it’s considered off-season in real estate. First of all, homes sell all year long. In general, real estate experts predict 2018 could be a great year to sell your home and profit from it. Continued influences on the housing market include inventory shortages, low interest rates, the appeal of the cheaper property taxes in some markets around the country, and lowered private mortgage insurance (PMI) rates. Experts predict that the housing market this summer could be just as strong as this spring, citing a 14 percent decrease in starter-home inventory and an increase in sales and list prices of existing homes so far this year. With kids out of school and family vacations planned, potential buyers may be short on time, money, and attention, which could lead to less interest in and competition for your offering. Your home can look its best in the summer. In New Orleans in particular, there’s always something blooming. Many houses have porches, decks, and pools that can be showcased in the summer. Buyers may have more flexible schedules and more time to start looking, or at least thinking about buying a home and researching their options. You have longer daylight hours for showing your home. You may attract more serious buyers off-season. Some people might find summer a good time to relocate to another city, or there might be pressing circumstances, such as relocation for a new job, as motivations. A potentially slower market means fewer transactions, which could result in a quicker sale. Here are a few things you can do to take full advantage of the summer. First of all, embrace the season and take advantage of the weather and school holidays. Buying a home is often emotional, and potential homebuyers will be visualizing their own backyard parties during viewings. So, if you have a pool or a patio, or there’s a holiday coming up, now is the best time to decorate and show off your outdoor assets. Experts recommend adding planters and using colorful outdoor furniture and rugs with bright hues to create summer accents. Creating curb appeal works wonders in all seasons, and summer is no exception. In the summer specifically it’s important to keep the lawn mowed, the bushes trimmed, and the grass looking lush and watered. You can take advantage of longer daylight hours to show your house in, well, its best light. While staging, you can also use natural air fresheners like flowers from your own garden, and offer attractive, chilled summer beverages. Finally, circulating the air in the house by keeping the AC and the fans on will also keep those viewing your home inside longer. Planning ahead and taking advantage of the weather, longer hours, and flexible schedules can ease the process of drawing in potential buyers, but sometimes selling fast and for cash may be the right option for you. If you’re not looking forward to losing about 6 percent of the sales price to listing agent fees, perhaps selling the traditional way just isn’t for you. Maybe you don’t have the time to devote to listing your home on the market or need to sell as quickly as possible for financial or family reasons. In some cases, the best and the quickest solution is to sell your home quickly, in as is condition, for cash and close within 30 days. Who sells their home for cash? New Orleans sellers just like you. If a job relocation, divorce, impending foreclosure, or inability to complete major home repairs is giving you an urgent need to sell your property, working with a cash buyer like Big Easy Buyers can help you reach your goal of a fast sale. When you’re ready to sell your home for cash, we offer fast and easy solutions for homeowners across the Greater New Orleans area. Contact Big Easy Buyers at (504) 513-7878 or by filling out our online form to learn about our 4-step process and how it can help you move forward with selling your home today.